With our holiday packages, you will experience moments of relaxation that you will not forget. Would you like to see our guesthouse? We would like to take you on a short tour of the inside and outside. …of the Bavarian Alps. If you sit on our balconies, you won’t need a TV! Welcome to the Organic Guesthouse Krennleiten! 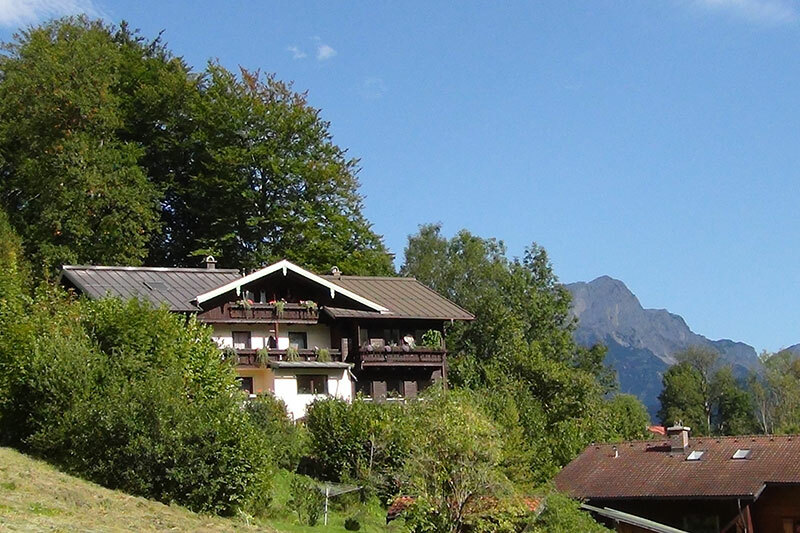 Would you like to enjoy an organic holiday in Berchtesgaden? Or a vegetarian (or even vegan) holiday? Are you looking for accommodation for an eco-holiday in Bavaria? Do you want to have a healthy break or healthy holiday near the beautiful Königssee (King’s Lake), amid the mountains of Berchtesgaden’s National Alpine Park? Are you a non-smoker and prefer a non-smoking holiday? Do you want to continue drinking revitalized Grander water even when on holiday? Are you interested in Bach flower and aroma therapy, natural cosmetics, a healthy diet and living life in tune with nature? Do you simply want to spend a beautiful, feel-good holiday in the mountains? Your home for holidays in all seasons, for a colourful Easter holiday, for a winter holiday in the snow? Please see our notes according collecting and processing your data and your right of refusal in our Privacy Police. Mandatory fields are marked with an asterisk '*'. Do you have any questions, or would you like to tell us something? You can send us a message right here!